The other night, I sought out a Bowen practitioner who was in the area to work on Jack. 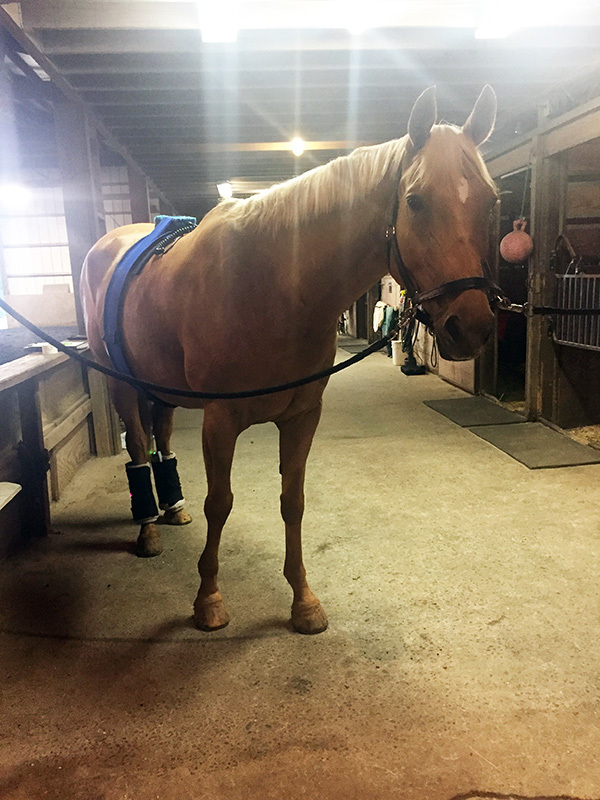 I had seen how it made visible changes in a friend’s horse (even during the session), and was advised that in his pre-MRI state that it was a good time to have Jack checked out. Does this belt make me look fat? Practitioners use fingers and thumbs on precise points on the body. They apply a rolling action which affects the muscles, ligaments and tendons. 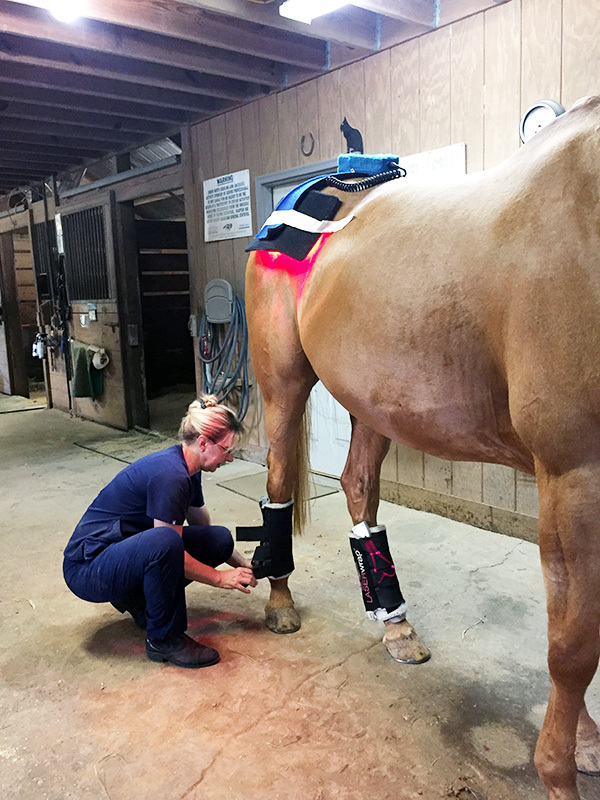 During the treatment there are two-minute intervals when the horse is left to rest. There is no manipulation or adjustment of hard tissue. A treatment will take approximately 45 minutes. Two or three treatments, usually at weekly intervals, may be required to achieve lasting relief. The hope is that correcting many of these things, we can create a horse who is less likely to compensate for his current injury (LF) by abusing the rest of his body. 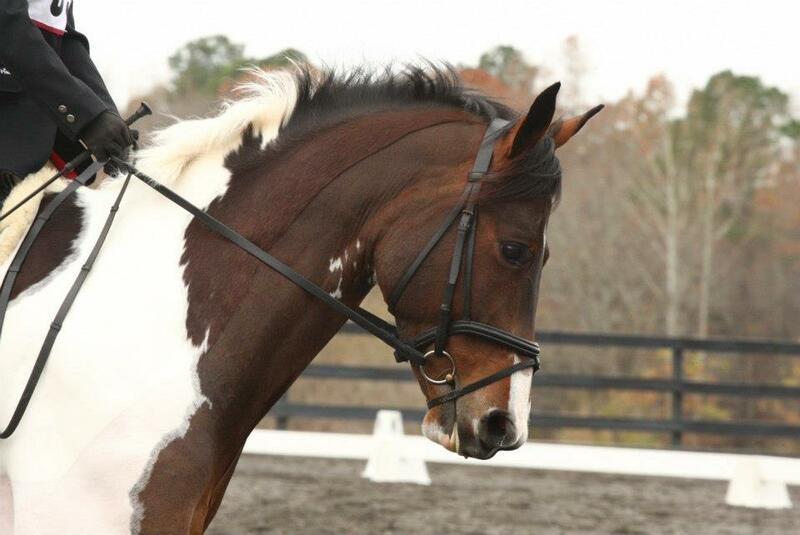 A hopefully more comfortable horse, with a looser body, will heal faster. And I’m all for that. That’s really interesting! How did Jack react to the treatment? Did he seem to enjoy it? Very interesting! Thanks for sharing this new to me technique!